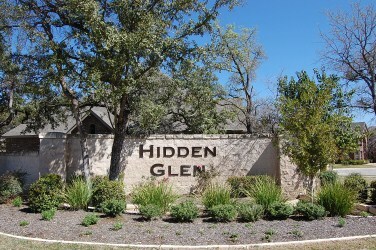 Hidden Glen is a hidden little luxury home community located off of FM 3406 and Creek Bend Rd. in the fast growing City of Round Rock. The area offers unbeatable amenities, including access to highly acclaimed schools, and proximity to an increasing number of shopping and dining venues such as IKEA, Round Rock Outlet Mall, and numerous shops and cafés. Homeowners enjoy the lush landscapes, large trees, and luxury homes by top builders such as Drees Homes. Major employers also include DELL, St, Davids Round Rock Medical Center, as well as other nearby medical centers. Residents also have quick commutes into Austin, as well as to Dallas, Houston, and San Antonio via IH 35. Homes for sale in Hidden Glen typically run from low $300's-$600K.